Larry Bodnar began practicing yoga 12 years ago. Larry was honestly hesitant about taking yoga classes at firs, but eventually took up to 7-8 classes per week! One day Larry met teacher Barrie Rosencrans while she was teaching a community class at Lululemon, and decided to enroll in Spa Walden’s 200 hour Yoga Alliance certified teacher training in 2015. 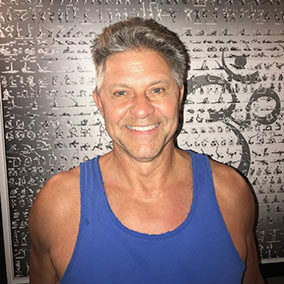 Since then Larry has been passionately teaching yoga both at Spa Walden and LA Fitness in Beachwood. “You are only as young as your spine is flexible “ says Larry. With that in mind, Larry’s classes promote health and longevity! Larry’s classes are vibrant, energetic, mindful, and rejuvenating.